This year we feature opportunities for many brand new bins as well as previously owned containers. 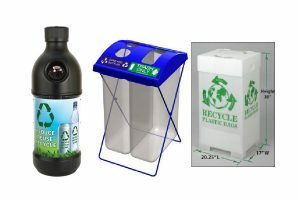 RAM sends a big thank- you out to Casey Dembowiak of Recycle Clear for their generous donation of a selection of brand new Recycle Clear event collection stands. For the past two years, Dembowiak brought these stands to the RAM/SWANA conference for use onsite at the conference during event, and graciously left the bins here with RAM to be given out to RAM members through the annual Bin Grant event. 2017 Bin Grant winners will be announced soon!